Vaido (Võrumaa, Estonia) on 12 September 2011 in Transportation. 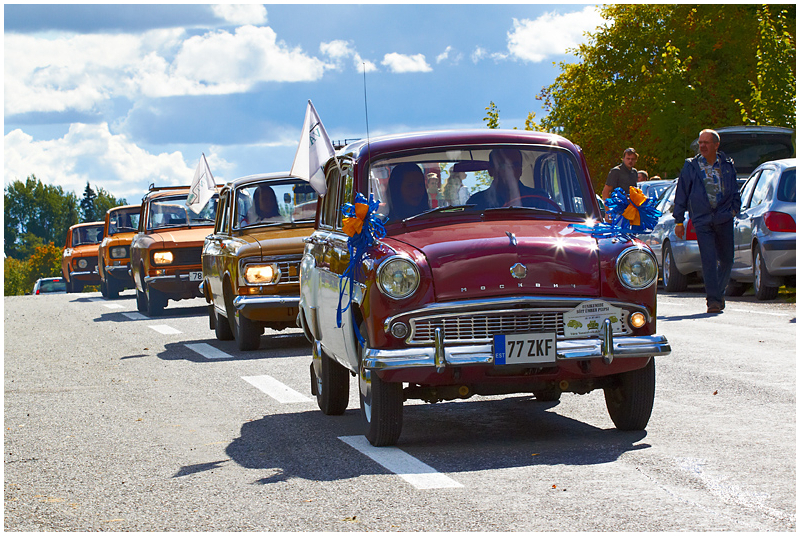 This year marks 65 years of the completion of the first Moskvich car in Russia. "Moskvich" means "Someone from Moscow" (like "new-yorker"), production of this brand small family cars lasted until 2002. Tänavu möödub 65 aastat esimese Moskvitši valmimisest. Parts of that leading design are familiar . . other parts not ! A cute little car and beautiful photo.